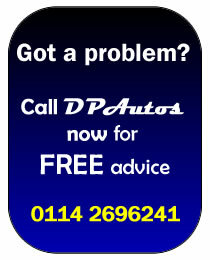 DP Autos offers a comprehensive, cost effective and timely service on all repairs carried out on your vehicle. We offer significantly reduced prices compared to main dealers and we will never carry out any repairs or replacements without consulting with you first to advise you of any issues with your vehicle and an accurate cost to remedy the issue/s. DP Autos would happily maintain any defective components for you to witness for your own peace of mind to enable us to advise you further about the implications had the issue not been addressed, which in turn may even help you to prevent recurrence in the future if a maintenance check could’ve minimised cost and damage. We offer a collection and delivery service if required to most parts of Rotherham and Sheffield for those people who want the peace of mind of still being able to get to work without having to arrange alternative transport or worse still book a day off because they are without their vehicle whilst it is being repaired. Contact us today to find out more or discuss your fault and be given an accurate quotation on 0114 2696241.